KeenBags is an exclusive collection of tote bags, handbags and pouches made out of the traditional Arabic men' scarf, called the guthra. A delicate embroidered fabric protected under a clear plastic to create tote bags and pouches. In a waterproof lining, KeenBags' products offer a resistant quality and are easy to clean. Made by high-qualified tailors in a workshop in Dubai, United Arab Emirates, KeenBags finds its inspiration in her travels, in street life, colours and texture of traditional fabrics from all over the world. French designer, Carinne Abou-Huguet has been living in Dubai for 14 years before settling in Singapore in August 2017. With a real passion for travelling, she always brought traditional fabrics from the countries she visited. 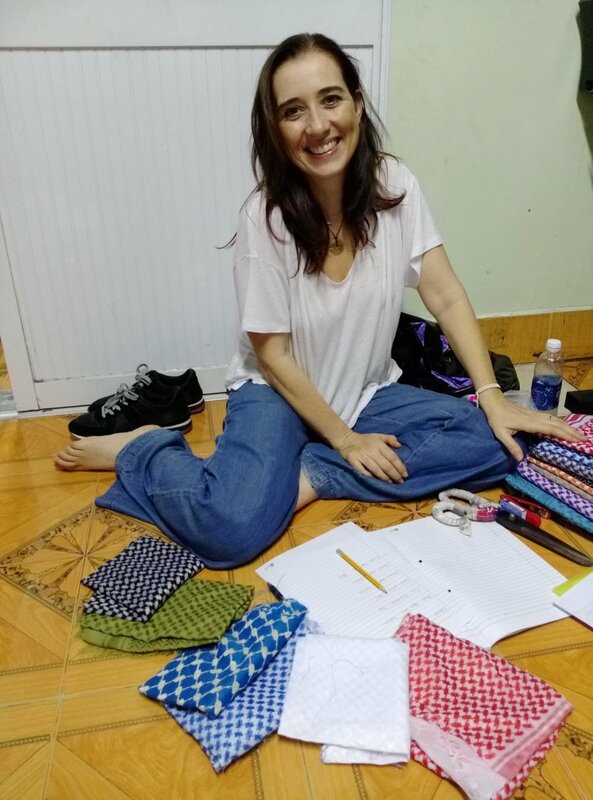 When she settled down in Dubai, she naturally had the idea of using the local traditional scarf, called the guthra to create her bags and pouches. 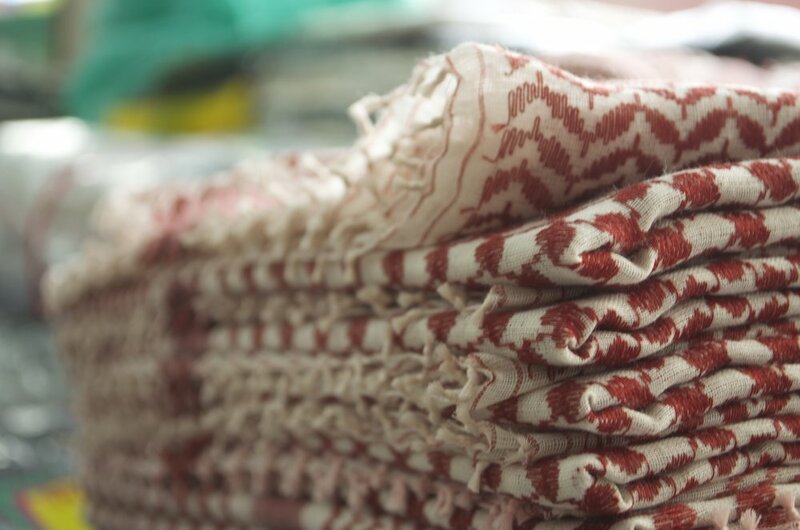 It was a way to twist the usage of the Arabic fabric and transform it into contemporary fashion accessories. KeenBags was created in 2011 in Dubai and is registered in Singapore since January 2018. The brand attended Dubai Fashion Week in October 2015 & April 2016, Market Out of the Box in Dubai on January 2017 and Boutique Fairs in Singapore, in March 2018 & will be showcasing in March 2019.